She wrote “when people try to make this debate about the purity of your lineage, things start getting a little Death Eaterish for my taste.” I wonder what moved her to invite negative comment about her lineage, since it was a subject given no coverage in the debate. 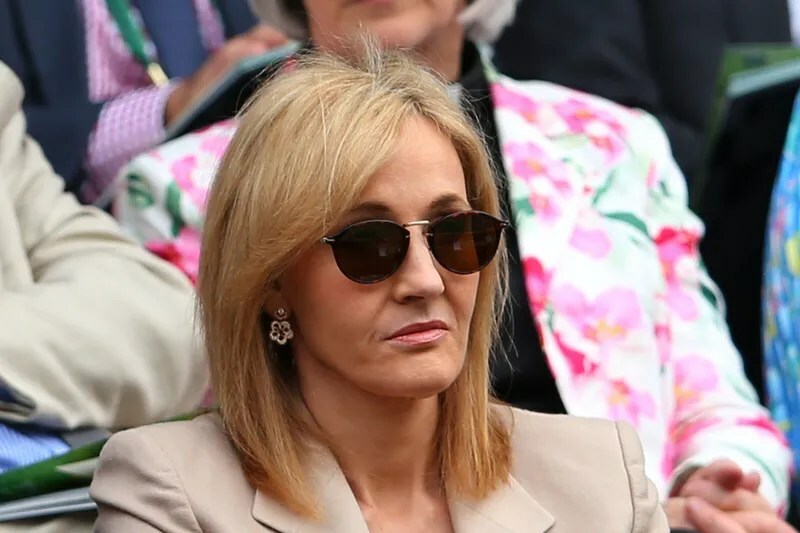 Indeed a multitude of expats, from many countries living in Scotland, have expressed strong opinion supporting views totally contrary to those of JK Rowling. 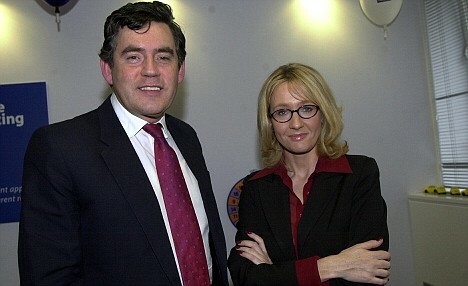 J.K. Rowling explains why she is supporting the Better Together Campaign. This is a Statement released to the press. The comments are my observations. Before you read the following, please be warned that it’s probably of interest only to people who live in Scotland or the UK (and not all of them!) If you read on regardless, you need to know that there is going to be a referendum on 18th September on whether or not Scotland should leave the United Kingdom. If you’re only vaguely interested, or pressed for time, there’s a mention of Death Eaters in paragraph 5. Why oh why give mention to Death Eaters? and in the first paragraph of the statement to boot. The opening gambit is negative and sets the tone of the remainder. I came to the question of independence with an open mind and an awareness of the seriousness of what we are being asked to decide. This is not a general election, after which we can curse the result, bide our time and hope to get a better result in four years. Whatever Scotland decides, we will probably find ourselves justifying our choice to our grandchildren. I wanted to write this because I always prefer to explain in my own words why I am supporting a cause and it will be made public shortly that I’ve made a substantial donation to the Better Together Campaign, which advocates keeping Scotland part of the United Kingdom. It is your money and you can give to whomsoever you wish but in doing so you aligned yourself firmly and with a high public profile with the “No” campaign. Through Your actions you challenged the credibility of Yes campigners and as such granted them right of reply in any statement made by yourself. As everyone living in Scotland will know, we are currently being bombarded with contradictory figures and forecasts/warnings of catastrophe/promises of Utopia as the referendum approaches and I expect we will shortly be enjoying (for want of a better word) wall-to-wall coverage. So true. The Campaign of fear in full attack mode spreading lies and despondency. A tactic used by Westminster in Ireland and other countries eg India. In the interests of full disclosure, I should say that I am friendly with individuals involved with both the Better Together Campaign and the Yes Campaign, so I know that there are intelligent, thoughtful people on both sides of this question. Indeed, I believe that intelligent, thoughtful people predominate. However, I also know that there is a fringe of nationalists who like to demonise anyone who is not blindly and unquestionably pro-independence and I suspect, notwithstanding the fact that I’ve lived in Scotland for twenty-one years and plan to remain here for the rest of my life, that they might judge me ‘insufficiently Scottish’ to have a valid view. It is true that I was born in the West Country and grew up on the Welsh border and while I have Scottish blood on my mother’s side, I also have English, French and Flemish ancestry. However, when people try to make this debate about the purity of your lineage, things start getting a little Death Eaterish for my taste. By residence, marriage, and out of gratitude for what this country has given me, my allegiance is wholly to Scotland and it is in that spirit that I have been listening to the months of arguments and counter-arguments. No mention of the UK nationalist’s. Where’s the balance? On the one hand, the Yes campaign promises a fairer, greener, richer and more equal society if Scotland leaves the UK, and that sounds highly appealing. I’m no fan of the current Westminster government and I couldn’t be happier that devolution has protected us from what is being done to health and education south of the border. I’m also frequently irritated by a London-centric media that can be careless and dismissive in its treatment of Scotland. On the other hand, I’m mindful of the fact that when RBS needed to be bailed out, membership of the union saved us from economic catastrophe and I worry about whether North Sea oil can, as we are told by the ‘Yes’ campaign, sustain and even improve Scotland’s standard of living. Some of the most pro-independence people I know think that Scotland need not be afraid of going it alone, because it will excel no matter what. This romantic outlook strikes a chord with me, because I happen to think that this country is exceptional, too. Scotland has punched above its weight in just about every field of endeavour you care to mention, pouring out world-class scientists, statesmen, economists, philanthropists, sportsmen, writers, musicians and indeed Westminster Prime Ministers in quantities you would expect from a far larger country. Nothing nostalgic or wrapped in romantisism in the outlook of pro-independence people. By your own words, in the last sentence of your paragraph Scotland punches well above it’s weight in almost every field. You gave mention to a few. My hesitance at embracing independence has nothing to do with lack of belief in Scotland’s remarkable people or its achievements. The simple truth is that Scotland is subject to the same twenty-first century pressures as the rest of the world. It must compete in the same global markets, defend itself from the same threats and navigate what still feels like a fragile economic recovery. The more I listen to the Yes campaign, the more I worry about its minimisation and even denial of risks. Whenever the big issues are raised – our heavy reliance on oil revenue if we become independent, what currency we’ll use, whether we’ll get back into the EU – reasonable questions are drowned out by accusations of ‘scaremongering.’ Meanwhile, dramatically differing figures and predictions are being slapped in front of us by both campaigns, so that it becomes difficult to know what to believe. 1. The economy feels fragile and there is concern about Scotlands ability to cope in the world markets. But this fish is incapable of swimming. The world markets you mention are to be destoyed by TTIP and other agreements which will regulate all markets throughout the world. This will provide economic balance. As an aside, Whisky (a Scottish success worldwide) is presently exported from England by result credit for income arising, (many £billions annually is credited to the UK treasury) With independence the revenue will be credited to where it rightfully belongs. Same statement applies to Gas, which is shipped ashore in large quantities from Scottish gas fields but again income is credited to the Uk Treasury. Before I move on I must give mention to electricity. Scotland will with sustained support be able to provide well over 60% of the needs of the UK. And I haven’t even mentioned fish. The EU recognises that Scotland is the economic powerhose that drives the UK. Westmister does one thing only. It controls the “City of London” international cartel trading hedge funds for super-duper rich people throughout the world. 2. Heavy reliance on oil revenue is a whole load of twaddle. A careful read of the Scottish white paper on independence makes it clear that the financial case supporting independence is not influenced by the price of oil or revenue arising from it. Oil revenue would be a bonus serving the needs of Scots by prudent management of the extra income. One dead fish!!! 4. Your doubt about Scotland being allowed back into the EU following on from independence is easy to resolve for you. You cannot get back into something you never left. As it stands each and every person in Scotland is a European citizen and there is no mechanism in place that allows citizens to be banished from the state of which they are members. This was confirmed by a very senior EU official, who, in the course of the campaign took Westminster detroyed any thought of asking Scotland to leave the EU. He said there was no precedence for such an act and it would be for the EU to find a way forward with Scotland still in the EU. I doubt I’m alone in trying to find as much impartial and non-partisan information as I can, especially regarding the economy. Of course, some will say that worrying about our economic prospects is poor-spirited, because those people take the view ‘I’ll be skint if I want to and Westminster can’t tell me otherwise’. I’m afraid that’s a form of ‘patriotism’ that I will never understand. It places higher importance on ‘sticking it’ to David Cameron, who will be long gone before the full consequences of independence are felt, than to looking after your own. It prefers the grand ‘up yours’ gesture to considering what you might be doing to the prospects of future generations. You cannot be serious. To think that almost half the population of Scotland are in support of independence because they wish to give 2 fingers to David Cameron reflects badly of your opinion of Scots. Patriotism is the tool through which Westminster has abused the Scot’s for over 300 years. The more I have read from a variety of independent and unbiased sources, the more I have come to the conclusion that while independence might give us opportunities – any change brings opportunities – it also carries serious risks. The Institute for Fiscal Studies concludes that Alex Salmond has underestimated the long-term impact of our ageing population and the fact that oil and gas reserves are being depleted. This view is also taken by the independent study ‘Scotland’s Choices: The Referendum and What Happens Afterwards’ by Iain McLean, Jim Gallagher and Guy Lodge, which says that ‘it would be a foolish Scottish government that planned future public expenditure on the basis of current tax receipts from North Sea oil and gas’. 1. The Institute of Fiscal Studies (IFS). This is the organisation that devised the Poll Tax for Margaret Thatcher to introduce in Scotland so I am hardly enamoured to the views of a right wing think tank based in London who appear to predict the future basing their judgements on inaccurate information and opinion presented to them from many organisations. I looked again at the financial analysis supplied by the IFS and was left with the impression that the authors had decided the outcome for propaganda purposes beforehand then gathered information suited to their cause so to impress the casual reader who might believe the IFS to be that body who must be believed. 3. But in addressing the matters raised it is appropriate to mention some other statements made by one of the joint authors of the book, Professor Jim Gallagher. The anti-independence campaign is under pressure to drop their fear tactics once and for all after further examples emerged of their arguments being dismissed by their own chief adviser. * The No campaign has previously faced embarrassment after it emerged that Professor Jim Gallagher had demolished their arguments by making clear that requirements for an independent Scotland to join Schengen or the Euro “can surely be avoided” and that any prospect of major powers being devolved in the event of a No vote was “fantastical”. My fears about the economy extend into an area in which I have a very personal interest: Scottish medical research. Having put a large amount of money into Multiple Sclerosis research here, I was worried to see an open letter from all five of Scotland’s medical schools expressing ‘grave concerns’ that independence could jeopardise what is currently Scotland’s world-class performance in this area. Fourteen professors put their names to this letter, which says that Alex Salmond’s plans for a common research funding area are ‘fraught with difficulty’ and ‘unlikely to come to fruition’. According to the professors who signed the letter, ‘it is highly unlikely that the remaining UK would tolerate a situation in which an independent “competitor” country won more money than it contributed.’ In this area, as in many others, I worry that Alex Salmond’s ambition is outstripping his reach. “Generous Scots have debunked the old stereotype that they are stingy misers as they give more to charity than the average Englishman and a third more than Londoners. The Ipsos Mori poll released today found Scottish households with incomes of less than £150,000 gave away an average of £356 last year. Overall Scotland is the most generous nation in the UK on average, followed by Wales on £328 and England on £285. On the eve of Comic Relief, a new study also shows that those in poorer areas also donate more to good causes than their richer counterparts in the south and east of England. Londoners donated almost £100 less – £268 – despite earning 25 per cent more than the Scots. * The head of a North-East university predicted that research would “continue to thrive” in an independent Scotland. Ferdinand von Prondzynski, principal and vice-chancellor of Robert Gordon University in Aberdeen, said the argument that the sector would lose leading researchers and find it hard to replace them did not “stand up to much scrutiny”. * The Scots are way ahead of many other nations (including the U.S.) with respect to electronic record keeping. “Scotland has excelled at collecting data and tissue for years, which means we have outcomes data without additional studies,” says Rhian Touyz, director of the Institute of Cardiovascular & Medical Sciences at the University of Glasgow. “For every patient admitted to a hospital in Scotland since the 1970s, we get their data.” Pharmaceutical companies looking to conduct clinical trials are given access to a fully phenotyped population of over 5.1 million. * Professor Sir Ian Diamond, the principal of the University of Aberdeen, said there would be “no question” that Scotland would still be able to receive funding from Research Councils UK if the country gained full independence following the referendum next year. Research Councils UK is currently financed by the UK government’s Department of Business, Innovation and Skills. * Major Indian Medical and Biological Research institutions announced plans to collaborate with Scottish universities. A partnership between the University of Dundee and the National Centre for Biological Sciences will be signed in August. The collaboration will concern itself with the field of antibiotics, and the global problem of the growing resistance to antibiotics amongst populations suffering from malaria and tuberculosis. * A collaboration between the University of Edinburgh and the Christian Medical College in Vellore, and the Indian Christian Medical and Dental Association, for a new distance learning Master’s degree in Family Medicine is to be put in place. This will help general practitioners working in Asia and Africa to better serve poor and rural communities. * Aberdeen University announced that it is investing £500,000 in PhD studentships for Indians, with a focus on the life sciences, health and energy research. * The debate on the impact that a ‘Yes’ vote in the upcoming independence referendum will have on research in Scotland’s universities has, thus far, been short of evidence, at least from the ‘No’ side, which has tended to assert versions of the, “too wee, too poor, too stupid”, with – in some cases – a “too clever” variant. Let us consider the evidence. * An independent Scotland will be better placed economically to support its universities. In an analysis of Scotland’s potential after independence, the Financial Times concluded that it would be one of the world’s top 20 richest countries. * In contrast, a ‘No’ vote to retain the union with the UK would mean a substantial reduction in university funding in Scotland because of the further planned cuts of £25 billion in UK public sector funding and reductions to the Scottish budget through changes to the formula used to allocate funds to Scotland. That is the real threat to research in Scotland’s universities. * Medical research charities are also a large source of funding for university research in the UK. Over the last four years, Scotland received 12.5 per cent of funding from this source against 10.9 per cent of full-time academic staff and 15 per cent of medical schools. * As these charities raise funds in Scotland, it would be strange if they did not continue to support Scottish-based researchers. As for endowed charities, it could be argued these are the common assets of the UK but, regardless, why would they not fund the best researchers if they are based in Scotland? * An important dimension of R&D is private sector expenditure and its links to university research. Scotland is the most successful part of the UK in creating new spin-out companies, giving rise to 20 per cent of the start-ups formed over the last ten years. * But, despite the quality of its university research and innovation, Scotland accounted for only 3.75 per cent of total private R&D funding from 2001-11. * This is a little under half of its population share and an even lower proportion of its GDP share, indicating a branch economy which would only be addressed by independence. * Another important issue is Scotland’s international brand. Despite its excellence, the Scottish higher education and research sector is not as visible internationally as it could be, because it is perceived as being part of the overall UK brand. * Independence will offer Scotland an opportunity to develop its own quality brand and to attract international students. * Scotland’s share of UK research council funding is cited to show how well Scotland is doing, and to argue that such funding would not continue under independence (too clever but too poor). * Such analyses tend to focus on one category of funding for one year, usually citing the fact that Scotland was awarded 13.1 per cent of research council grants, studentships and fellowships in 2012/13, against a population share of 8.3 per cent. * However, the average share awarded to Scotland over the last eight years was somewhat lower, at 12.3 per cent. * In any case, the comparison should not be with overall population, but with the size of the university sector. * Scotland has 10.9 per cent of the UK’s full-time academic staff. * The research councils also fund independent research organisations and infrastructure. * Here, Scotland does very badly, receiving an average of 7.6 per cent of funding over the last eight years. * Taking the two categories together, Scotland received 10.6 per cent of research council expenditure in the last eight years. * Given that it has 10.9 per cent of academic staff, this is a small under-allocation. Against Scotland’s 9.2 per cent share of total UK GDP this leaves a potential funding gap of around £35 million. I’ve heard it said that ‘we’ve got to leave, because they’ll punish us if we don’t’, but my guess is that if we vote to stay, we will be in the heady position of the spouse who looked like walking out, but decided to give things one last go. All the major political parties are currently wooing us with offers of extra powers, keen to keep Scotland happy so that it does not hold an independence referendum every ten years and cause uncertainty and turmoil all over again. I doubt whether we will ever have been more popular, or in a better position to dictate terms, than if we vote to stay. Load of nonsense that could have been written by your friend Gordon Brown. You offered in support of your argument a book written by Prof Gallagher but I wonder if you read it first. He wrote “the idea of Scotland winning some version of devo max in the aftermath of a No vote is fantastical. The term as understood by most people is just independence light and will never be accepted by Westminster.” Westminster will devolve nothing of any significance and Scotland will hold another referendum. If we leave, though, there will be no going back. This separation will not be quick and clean. It will take microsurgery to disentangle three centuries of close interdependence, after which we will have to deal with three bitter neighbours. I doubt that an independent Scotland will be able to bank on its ex-partners’ fond memories of the old relationship once we’ve left. The rest of the UK will have had no say in the biggest change to the Union in centuries, but will suffer the economic consequences. Why would Scotland ever wish to “go back” as you put it. Scotland would be an equal partner with rUK within the EU. A case of need would never arise. The work of disentangling interdependence issues would be completed in a period of time agreed by the participating teams. With goodwill and common sense this should not pose problems. I do not understand the quote about three bitter neighbours. Relations with the Republic of Ireland are amicable and productive. The rest of the UK had no say in the biggest change to Scotland and England at the time the Union was created so your argument is rebuttable. Successful negotiations are not related to differences in size between nations and I am confident both sides will appoint suitably qualified persons to their teams. If the majority of people in Scotland want independence I truly hope that it is a resounding success. While a few of our fiercer nationalists might like to drive me forcibly over the border after reading this, I’d prefer to stay and contribute to a country that has given me more than I can easily express. It is because I love this country that I want it to thrive. Whatever the outcome of the referendum on 18th September, it will be a historic moment for Scotland. I just hope with all my heart that we never have cause to look back and feel that we made a historically bad mistake. Making historical bad mistakes is an occurence with which Westminster is well versed. In the course of leading the UK over for 300 years Nationalistic UK political masters have made countless terrible mistakes costing the lives of millions of young men and more recently women in the armed forces. I could write a book, there are so many. For myself (and I feel confident I speak for all but an insignificant number of luddites) I welcome your opinions, input and honesty. Scotland is richer in so many ways by your continued presence and that of your children. You deserve your place in Scottish society and I expect you will be remembered forever for giving our children “Harry Potter”. The charity to which she has the strongest bond is the MS Society of Scotland. It is a cause close to her heart. 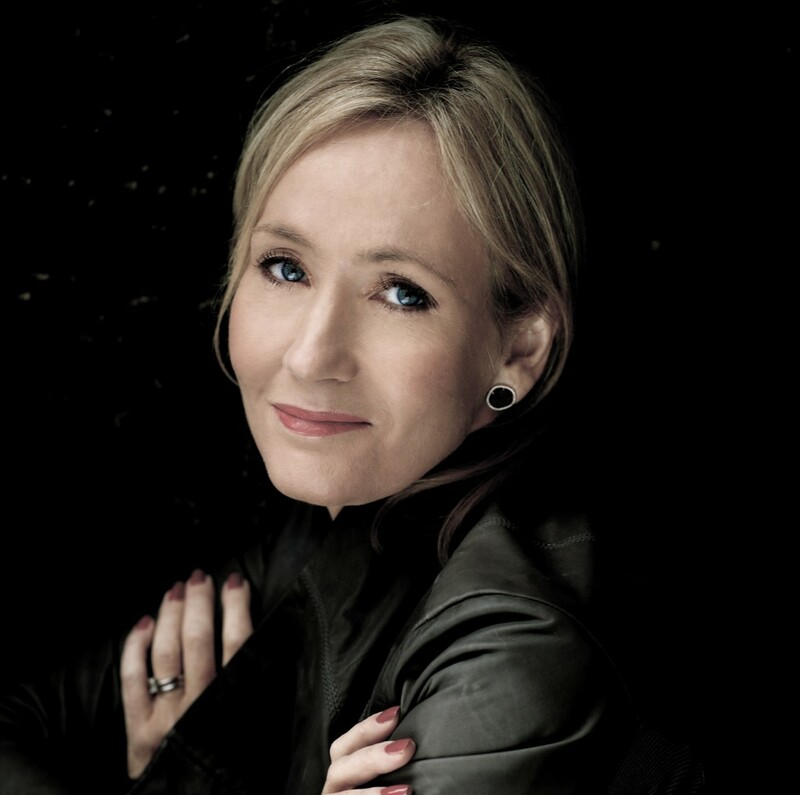 Rowling’s mother was crippled by the disease and it eventually killed her. She donated a large sum to help fund a senior fellowship in MS research at Aberdeen University, and she hosted a Halloween ball at Stirling Castle which raised £280,000. JK also wrote an impassioned essay about the appalling lack of government funding available to help people with the disease and it caused a furor in Scotland. She, with others then marched on the Scottish Parliament at Holyrood to raise awareness of the cause and her participation led to massive reform in the way the disease is treated. She was patron of the Multiple Sclerosis Society of Scotland (but resigned due to difficulties with the MS controlling charity in London) But she has and continues to give generously of her time and a lot of money to the cause that means so much to her. With the awards and money JK received, she contributed to many charities and benefits. At a charity fund raiser she said “I think you have a moral responsibility when you’ve been given far more than you need to do wise things with it and give responsibly. This is exactly what she continues to do. JK, using the money that her book and now movies have made, has donated to many charities and fundraiser. Some of these include one million pounds to the Labour Party and four hundred ninety-five thousand dollars to a reward fund for the safe return of a girl who went missing in Portugal. She has founded or is involved with certain charities. They comprise, “The Volant Charitable Trust” which she established in 2000, “The Children’s High Level Group” which she co-founded with a friend in 2005 and she is also president of “One Parent Families” as she was once one herself. She is a fascinating person. A true hero. She is also a hard worker who has experienced many hardships but has never forgotten her roots. Many people admire her, including young readers, for the donations she has made to people in need as well as raising a family of her own in her busy life. She is a woman who is admired by many and a role model and idol to people all over the world for both her writing and ability to overcome adversity. JK Rowling sincerely believes that 1 in 5 Scottish children suffering in poverty is a worthwhile price to pay to keep Scotland in the Union. Rowling has access to the same information as everyone else and made a conscious decision to throw her wealth behind an institution that deliberately conspires to keep in place the mechanisms that ensure continued poverty in Scotland. She is a most unpleasant person.